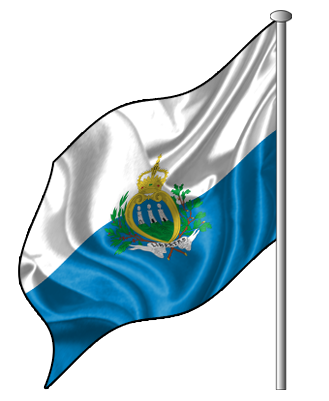 San Marino is an enclave in Italy, on the border between the regioni of Emilia Romagna and Marche. Its topography is dominated by the Apennines mountain range, and it has a rugged terrain. The highest point in the country, the summit of Monte Titano, is situated at 749 m (2,457 ft) above sea level. There are no bodies of water of any significant size. 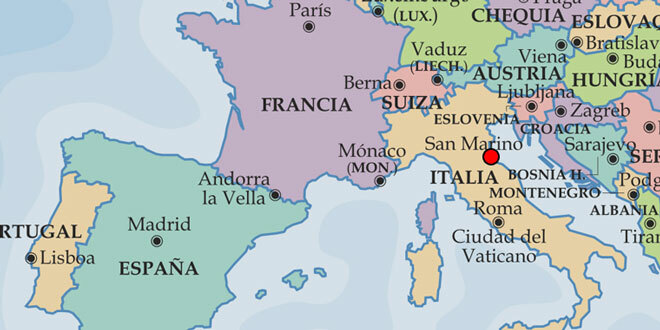 San Marino is the third smallest country in Europe, with only Vatican City and Monaco being smaller.